The above is an image of Mount Sinabung in 2010 - courtesy of Wikipedia. 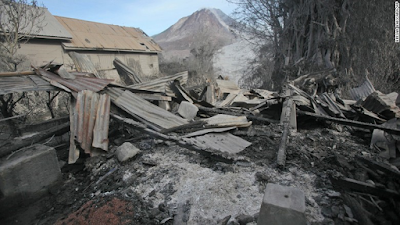 Mount Sinabung started spewing ashes on May 21 and erupted the following day on May 22. The eruption occurred at 4:48PM local time. 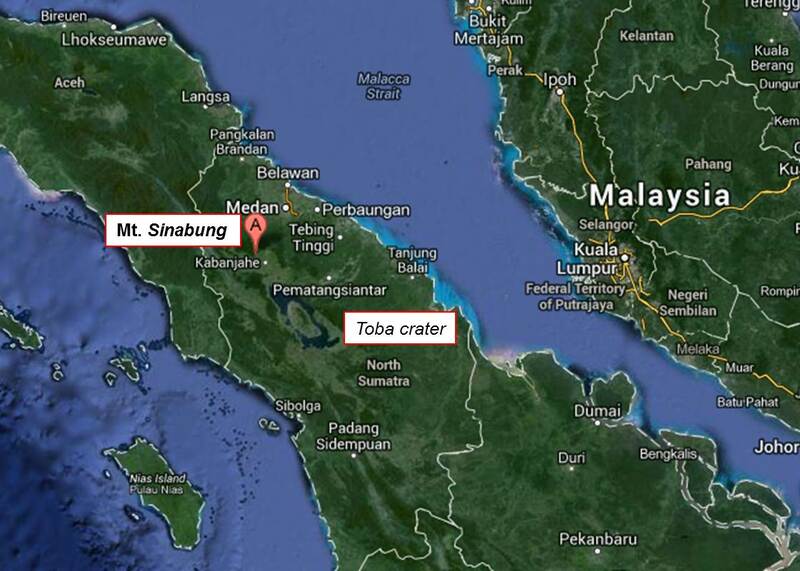 Sumatra where Mount Sinabung is located is one hour ahead of Kuala Lumpur or Malaysia for that matter. Mount Sinabung is on the same latitude as Kuala Lumpur at 3deg north of the Equator. According to our Meteorological Department, so far no ash from the volcano had reached Malaysia and as at noon yesterday, no further eruption occurred. However, the Met Department (MetMalaysia) will continue to monitor the movement of ash and dust from Mount Sinabung eruption in Sumatra, Indonesia. Mount Sinabung is an active volcano and has had eruptions every year, even a number of times a year according to Wikipedia. 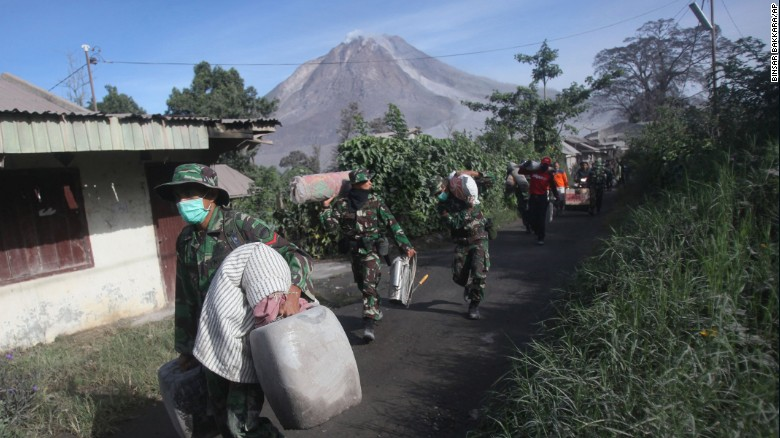 Recent activity on Mount Sinabung has resulted in higher levels of tourism and sight-seeing in the area. The Tourism Agency of the Karo regency has officially proposed several locations to local government as potential tourist sites. Tours to different villages and viewing sites are already available in the area. 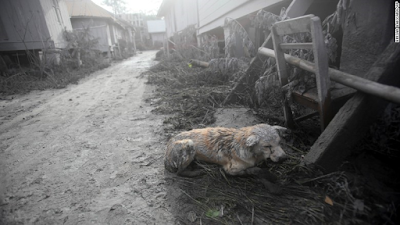 A few images from CNN depicting the aftermath of the Mount Sinabung eruption on May 22..
A scorched home after it was hit by the eruption. 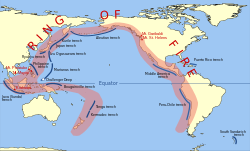 Indonesia is located in what is referred to as the Ring of Fire, a major area in the basin of the Pacific Ocean where a large number of earthquakes and volcanic eruptions occur. 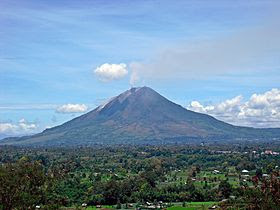 Indonesia has at least 150 active volcanoes. However, volcanic ash is a major contributor to the high agricultural fertility that has historically sustained the high population densities of Java and Bali. 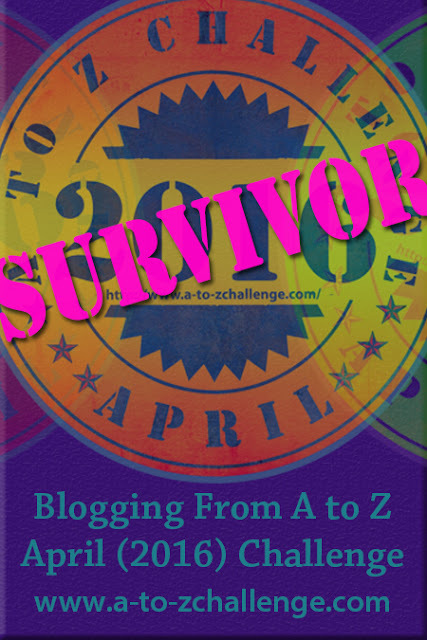 Well, that sure was fun (and challenging at the same time), the A to Z Challenge, that is. After a month-long journey of blogging daily what did I learn on reflection? Firstly, it got my blogging back to a more regular tempo, which is good. I hope to maintain that. This is my first year and I only found out about it just about a week before the list closed. So it took some thinking as to what to write for some letters. The next time it will be different with 11 months to work on it until the next challenge. Got a couple of themes in mind already actually. Learned new things every day from the blogs. Wish I had more time to visit more and leaving comments. But then again will now be able to do so with the rush being over. For easy reference or if you are interested below is my list of the A to Z posts - all 26 of them in April. K is for Kuala Lumpur of course! I would encourage everyone to join in next year. 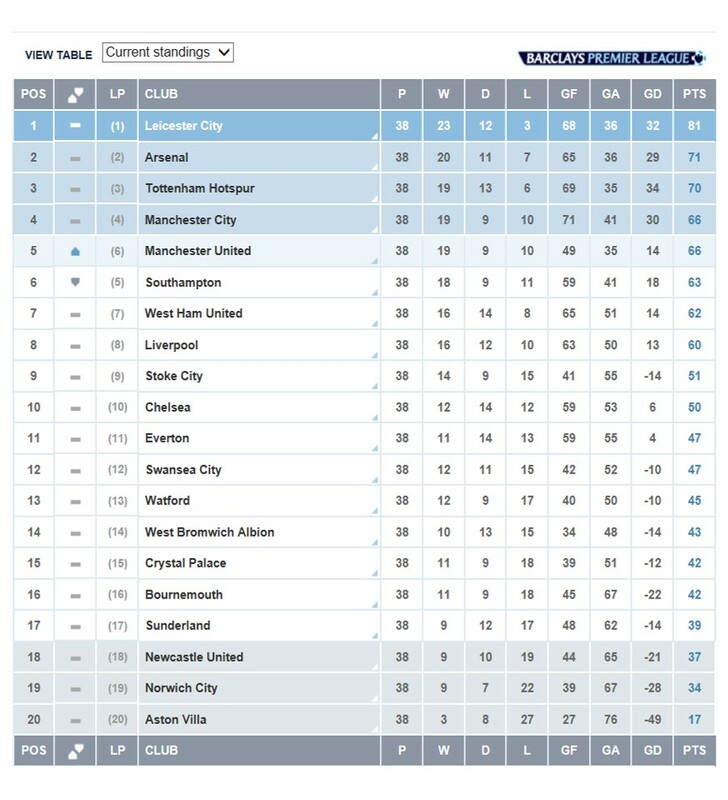 April is the month.